CarGurus has 8,276 nationwide S-Class listings starting at $2,100. Mercedes-Benz puts its best face forward with the 2011 S-Class sedan. This is a conveyance for which the term “luxury auto” was invented. But this five-passenger picture of elegance also boasts some of the most potent powerplant selections in its class, including two twin-turbocharged engines from Mercedes' racing division, AMG. To go along with this performance, an over-the-top ride and superb handling as well as enough electronic wizardry to please the most demanding technophile make this an automobile for the ages. 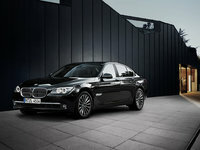 Additionally, this luxury sedan is available in a hybrid version, as well as an all-wheel-drive (AWD) trim. Of course, all this power and posh doesn’t come cheap, with the S-Class Hybrid, believe it or not, being the least expensive of the lot, starting around $91,000. 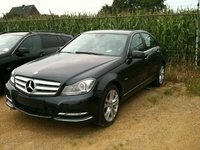 The base 2011 S-Class S400 Hybrid is joined by the S550, the S63 AMG, the S65 AMG, and, finally, the plush S600, all in ascending order of cost, performance, and number of standard features. The S550, meanwhile, is available in either the standard rear-wheel-drive version or with full-time AWD, and all trims offer a hefty 16.4 cubic feet of trunk space. Audi’s new A8, along with BMW’s recently re-designed 7 Series, Jaguar’s elegant XJ, and the classically Italianate Maserati Quattroporte all rival the S-Class in opulence, performance, ride comfort, and price, but Mercedes-Benz has the added cachet as the standard by which such things are judged, a mantel that its top-echelon sedan wears well. Helping the 2011 S-Class to remain at the top of its game is a choice of V6 hybrid, V8, or turbocharged V12 gasoline engines that give this legend its extraordinary reputation for pure driving pleasure. Furthermore, according to the folks at Mercedes, a BlueTEC diesel powerplant will be available later in the 2011 model year. For now, however, engine selections begin with the 295-hp hybrid V6 that graces the S400 Hybrid trim. A 7-speed auto-manual transmission, with brake hill holder feature, helps put out 284 lb-ft of torque, while regenerative braking and automatic engine stop/start help the newly developed lithium-ion battery juice up a small, 20-hp electric motor to keep gas mileage at a reasonable 19/25 mpg. This system is described by Mercedes as a “mild” hybrid, meaning the S400 is unable to be driven on electric power alone. The S550, meanwhile, sports a 5.5-liter gas V8 engine in both the rear-wheel-drive and all-wheel-drive versions, again with the 7-speed auto-manual transmission with brake hill holder. This potent powertrain is capable of 382 hp and 391 lb-ft of torque to the tune of 15/23 with variable valve timing (VVT). For those with a serious need for speed, the S63 AMG boasts a 536-hp, 590-lb-ft/torque 5.5-liter twin-turbocharged V8, again with the 7-speed auto-manual transmission good for 14/22 mpg with VVT. Or there’s the S600 with its 5.5-liter twin-turbo V12 pounding out 510 hp and 612 lb-ft of torque under the direction of a 5-speed auto-manual transmission with brake hill holder. Mileage is estimated at 12/19. And if that’s not enough, there’s the S65 AMG packing a twin-turbocharged 6.0-liter V12 with the standard 5-speed auto-manual for 604 hp and 738 lb-ft of torque. This monster has been timed from 0-60 in 4.2 seconds and also eats gas at an estimated 12/19. Luxury appointments are what set the 2011 S-Class apart from the upstarts. Standard appearance, comfort, and convenience features for the base-priced S400 Hybrid include 18-inch alloy wheels, a power sunroof, leather upholstery, heated, power-adjustable front seats, and power windows, door locks, and heated outside mirrors, dual-zone climate control, and telescoping tilt-wheel steering with mounted shift paddles, audio, and cruise controls. A universal remote garage door opener, and leather, alloy, and genuine wood inserts and trim accents, and memory settings for three drivers complete the cabin comfort ensemble. Techno-wizardry and entertainment are provided by a hard-drive-based navigation system, Bluetooth wireless technology, Mercedes’ mbrace directions and communications, a Harman Kardon audio system comprising a 6-CD changer with 5.1 surround sound and 14 premium speakers with two subwoofers, Sirius satellite radio, a USB connection, and a memory card slot. The S550 adds reverse-tilt outside mirrors and additional HK subwoofer, and a voice-activated phone, with the S600 and the S65 AMG also providing such standard amenities as 19-inch alloy wheels, reclining rear seats, a fixed rear glass sunroof, massaging front seats, and four-zone climate control. The two upper-end trims also sport a standard DVD player, 15 Bang & Olufsen premium speakers, and 1,200 watts of audio power. The S600, meantime, throws in a standard heated steering wheel as well. Options include upgraded 19- and 20-inch five-and ten-spoke wheels and rear-seat DVD entertainment across the lineup, while the lower trims are available with many of the added standard features found in the S65 AMG and S600 trims. Packages, meanwhile, include the Sport Package with upgraded active suspension systems and sport front bucket seats, the Premium 2 Package with Parking Guidance and a rear-view camera, and the Rear Seat Package featuring power-adjustable heated rear seats. 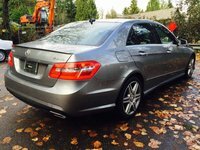 Safety-wise, the 2011 S-Class includes standard four-wheel ABS, traction and stability control, front side-mounted airbags, front and rear head airbags, and front head restraint whiplash protection just for starters. Added to this are standard self-leveling HID headlights with high-pressure washers, daytime running lights, front fog/driving lights, mbrace collision and airbag-deployment notification, a remote anti-theft alarm, turn-signal-integrated mirrors, and pre- and post-collision safety systems. The S600 and S65 AMG trims additionally feature standard radar-controlled adaptive cruise control, with optional Night View Assist Plus with Pedestrian Detection and the Driver Assist Package with Blind Spot Assist and Lane Keeping Assist available across the lineup. Owners of the 2010 S-Class sedans point to its hefty base price and a sense of being overwhelmed by techno-features, as well as a bit of cramping in the rear seat as being among the downsides of this posh automobile. Elegant Euro-styling, however, as well as AMG power and performance, nimble handling, an elegant and pleasantly muted cabin, large trunk, and the plethora of safety features all combine to keep owners of this luxury sports sedan shouting its praises. 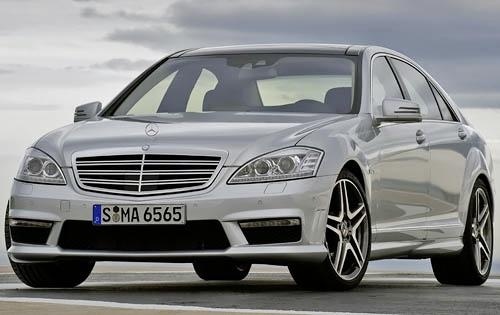 What's your take on the 2011 Mercedes-Benz S-Class? Users ranked 2011 Mercedes-Benz S-Class against other cars which they drove/owned. Each ranking was based on 9 categories. Here is the summary of top rankings. Have you driven a 2011 Mercedes-Benz S-Class? car lioght is on says too low on my mercedes benz s550.Car higher on rt side. I parked a 2011 Mercedes s550 4matic in my drive way yesterday and suddenly heard a ballon pop sound, notice the driver side Airmatic suspension is down now.. what can the problem be?